An international research team from the University of Ghana, University of Aberdeen and Wuhan University in China has discovered a set of new alkaloids from a novel Ghanaian microorganism. The organism has great potential as future microbial and cancer fighting agents. 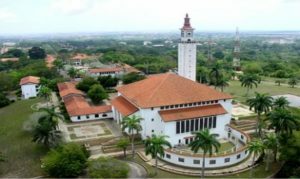 Dr Kwaku Kyeremeh, a lecturer at the University of Ghana’s Department of Chemistry in collaboration with other researchers have identified for the first time, the compounds Legonmycins A and B, named after Legon, a suburb in Ghana, where the producing microorganism was found and isolated. Legonmycins A and B belong to a group of naturally occurring alkaloids based on the pyrrolizidine backbone. Pyrrolizidine alkaloids (PAs) are produced mainly by plants as a defence mechanism against insect pests and herbivores but, have been used by humans since ancient times for therapeutic and recreational purposes. Interestingly, while over 660 plant pyrrolizidines are known, only up to 10 bacteria PAs have been characterised. More recent studies have shown PAs to have pharmaceutical importance as anti- tumour and anti-inflammatory agents but, their biosynthetic origins remain poorly understood until now. Dr Kyeremeh, Dr Hai Deng, Professor Yi Yu and their colleagues, solved the mystery behind the amino acid composition and other biosynthetic precursors involved in the biosynthesis of bacteria PAs. Using genome analysis and identification of gene clusters, they identified Legonmycins as originating from non- ribosomal peptide synthetases. Inside the lgn gene cluster, a talented solo LgnC enzyme was identified and found to catalyse an unprecedented series of chemical reactions in the final steps of the biosynthesis of the Legonmycins. Dr Deng, from the University of Aberdeen, said the benefit of their work, which is published in the top international journal Angewandte Chemie Int. Ed. and featured as the back cover of the journal, is two-fold. “It moves on current understanding of this important group of alkaloids – an essential step forward if the full pharmaceutical potential of these substances are to be realised. The newly discovered compounds could one day be used in the creation of new drug treatments,” he said. Dr Deng said the generation of these analogues depends first on determining the genome sequence of the compounds and then working out how they could be biosynthesised. According to Dr Yu, an Associate Professor from Wuhan University, in order to address the problem of resupply, the current research is a great step forward to the ability to use synthetic biology to generate what are known as analogues which are modified versions of the original alkaloids either from plants or microbes but, much suited to human health. 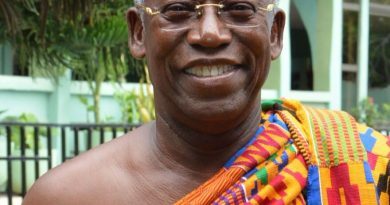 Dr Kyeremeh said even though Ghana represents one of the world’s biodiversity rich hotspots until recently, very little research has been conducted on the country’s flora and fauna. Different accounts of work on plants exist but the identification of natural product compounds from microbes is completely new, he said. Dr Kyeremeh believes that, Ghana has a large number of microbial talents which future research must identify and isolate. He noted that the results represent the ultimate goal for the area and type of research. He said the current findings are an important step forward to achieve the goal. The research was sponsored by the Leverhulme Trust and the Royal Society’s Africa Award.